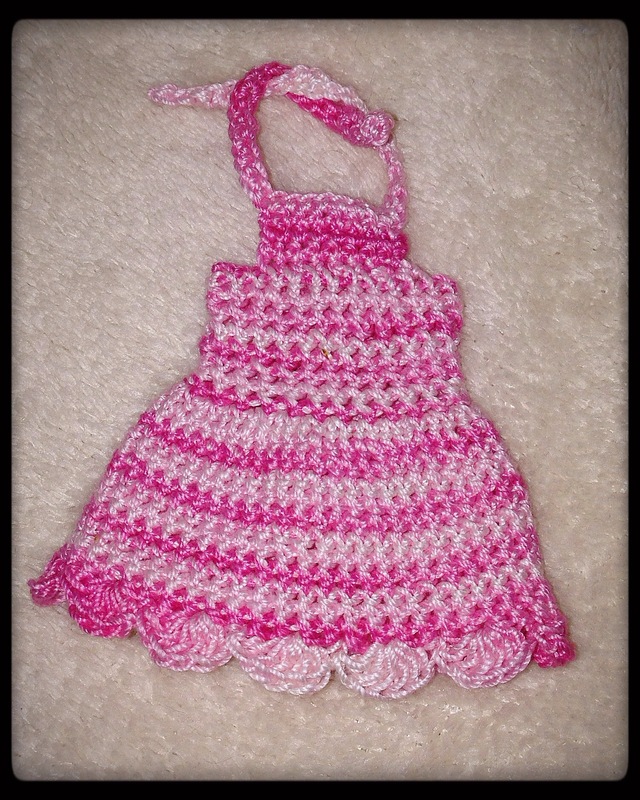 Toddler Dress Pattern | Barbie Who? 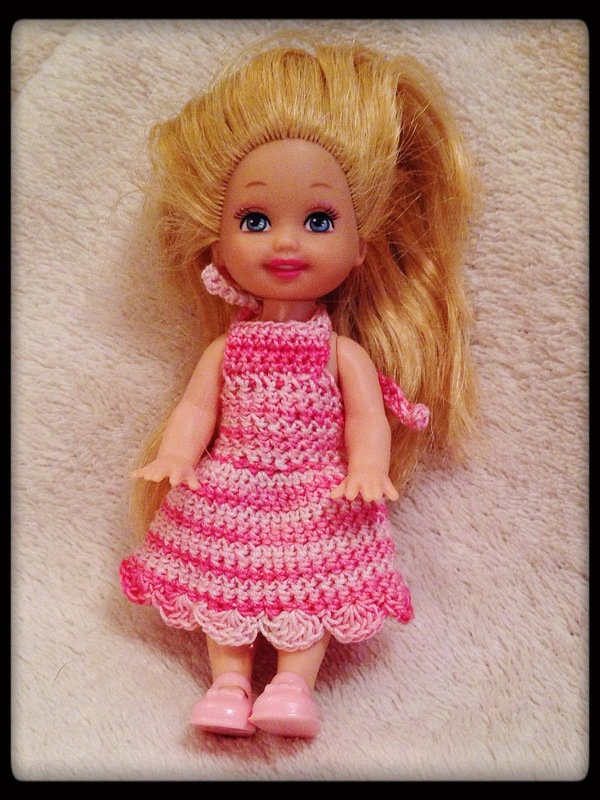 This is a simple toddler dress pattern for the little Shelly/Kelly sized doll. It should fit most 3-1/2″ to 4″ dolls, and it is very easy to add length if needed. – I did this in the round, but you can join at the end of each row if you choose. I found that doing it in the round creates a smoother finish. – This pattern can be modified for length – you can easily add rows or subtract them as you see fit. Foundation Single Crochet – a technique where you create a chain and a single crochet in one pass; here is a link to a great video tutorial by Crochet Ever After on how to do it. Row 21: Skip one stitch, DC 6 times into one stitch, Skip one stitch, slip into the next stitch. Repeat this pattern for a total of 12 scallops on the bottom edge of the dress. Cast off. Finish by taking your finishing needle and working in the ends of the yarn. Pingback: New Year, New Goals | Barbie Who?